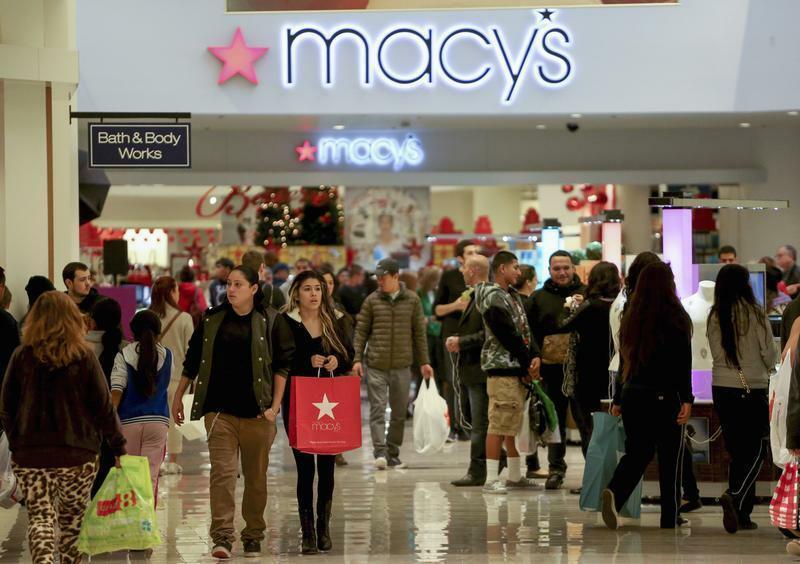 NEW YORK (Reuters) - Many large U.S. retailers slashed their earnings forecasts on Thursday because of steep discounts they offered during the holidays to persuade reluctant consumers. The discounts boosted overall industry sales but hurt profits at many chains, including L Brands Inc, Family Dollar Stores Inc and teen retailer Zumiez Inc. Even retailers that reported big sales gains, like Kay Jewelers parent Signet Jewelers Ltd, were not spared. Fewer store visits and aggressive pricing at the start of the season by big retailers like Amazon.com Inc and Wal-Mart Stores Inc left many chains with little choice but to offer sweeter deals. Many also had too much holiday merchandise, which was ordered in late spring when retail executives were feeling upbeat. "The discounts needed to be deeper, and they needed to be longer," said Joel Bines, managing director of consulting firm AlixPartners. The discounts did result in a stronger-than-expected 2.7 percent increase in December sales at the eight retailers tracked by the Thomson Reuters Same-Store Sales Index. Still, L Brands cut its holiday-quarter profit forecast on disappointing December sales at its Victoria Secret and La Senza chains. While L Brands' sales at stores open at least year rose 2 percent last month, Wall Street had been expecting a gain of 3.7 percent, according to Thomson Reuters I/B/E/S. The company's shares fell more than 4 percent. Zumiez reported an unexpected drop in same-store sales. Shares of Signet, which is not part of the same-store sales index, were down more than 6 percent even though it reported a 5 percent increase in U.S. same-store sales for the November-December holiday season. Gap Inc, which is in the index, will report after markets close. Between November 3 and January 4, eight retailers, including Wal-Mart Stores Inc, Target Corp and Macy's Inc, increased the number of circulars published by 6 percent and sent 57 percent more promotional e-mails, according to data prepared for Reuters by MarketTrack. Retailers also had to deal with shoppers who were less willing to go into stores: Data firm ShopperTrak this week said foot traffic had dropped 14.6 percent this holiday season. Walgreen Co, whose comparable sales of general merchandise rose 2.5 percent in December, said fewer shoppers had come to its drugstores. Small clothing chain Cato Corp also slashed its profit forecast after reporting poor December sales. Still, some retailers offering staples at low prices fared well. Warehouse club chain Costco Wholesale Corp reported a 5 percent gain in U.S. same-store sales for December, while Wall Street was expecting only 1 percent. American Eagle Outfitters Inc said comparable sales for November and December fell 7 percent and that it expected its quarterly profit to come in at the bottom of its earlier forecast range of 26 cents to 30 cents per share. Family Dollar's same-store sales fell 3 percent last month. American Eagle and Family Dollar are not part of the same-store sales index.